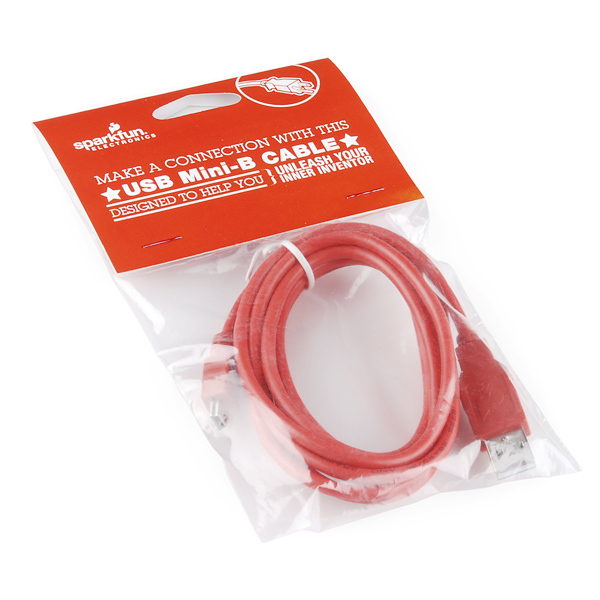 This is a USB 2.0 type A to Mini-B 5-pin cable, the most common mini-B connector that usually comes with USB Hubs, Cameras, MP3 players, etc. 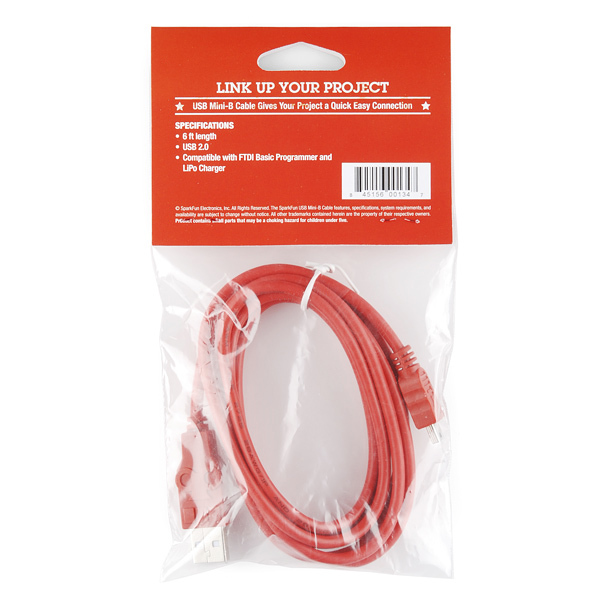 Use this with our LiPo Charger, FTDI Basic Programmer or even combine it with the CP210x IC and SMD Mini-B connector to create your own portable USB device. 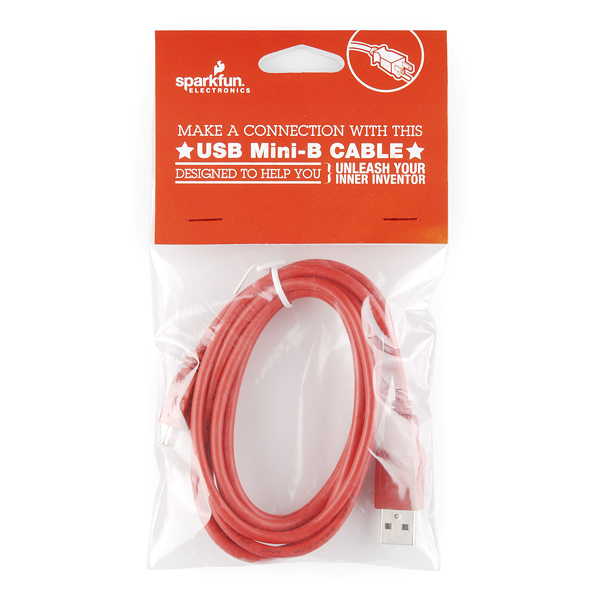 Now in SparkFun Red!